For the latest Eat Salem post on the Bite and Brew click here. I just got back from setting up our tent at the Bite. We got a great spot right next to Coldstone Creamery at the east side of the park. I guess we won't need to go far if we need a cool treat to eat in the heat. People down there were really excited about Saturday's headliner the Spin Doctors. That was a great get by Tom Fohn the event organizer. Riverfront Park is going to be rockin. There's going to be a lot of great food served over the weekend. Willamette Burger Co. is expecting to sell 2000 burgers during the three day event. The smoker Adam's Rib was filled with pork. The best part is that Salemites can get together and celebrate summer at one of our city's best parks. It's a $3 suggested donation to get in. Kids 12 and under are free. Unlimited ride wristbands are $22. The South Salem Rotary has hosted the event for the past 17 years. Proceeds benefit the Boys and Girls Club of Marion and Polk counties. Come by our booth, say hello and let's talk local food. 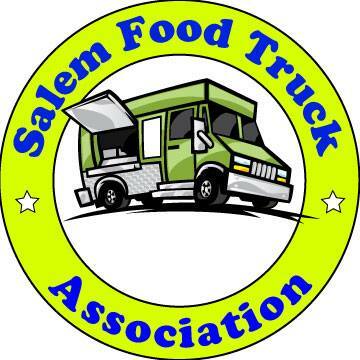 It's official, the Eat Salem crew will be at the Bite and Brew again this year. Stop by, say hello and let's talk local food. The South Salem Rotary has hosted the event for the past 17 years. Proceeds benefit the Boys and Girls Club of Marion and Polk counties. This years event at Riverfront Park has some big name musical acts including the Spin Doctors, The Crazy 8's, and Ty Curtis. Here's the entertainment schedule. The details are being worked out about where we are going to be so stay tuned. The music acts are great. The weather is going to cooperate. One weird thing: No mention of food on the festival website. I noticed that and thought it quite strange not to list the food booths. It is, after all, "The Bite"! I finally got to meet K, the front half of KandN we've all enjoyed so much here, at the eatsalem booth. She is a very personable and gracious lady, if I may say so. I think the solution to the mystery of why the food vendors were not listed this year may rest in the observation that their numbers seem to be off quite a bit. Asian Cuisine is not absent, but nearly so. Another casual observer commented that he thought there were half again as many in 2010. There's still many from which to choose. Heck, the music alone is well worth the suggested contribution. Also new, this year (I think), is the banning of pets at the event. I, for one, really appreciate this. Dogs at the Bite are not appropriate leashed or not. (Service animals excepted, of course.) I noticed that it was not universally respected or enforced, but it is a vast improvement over years past. I looked around the internet and found the following information. Hope this helps! Mount Angel Sausage will be there with the west's best wurst. Adam's Rib Smokehouse: B.B.Q. - Pork Ribs, Pulled Pork Sandwich, Sliders - pork or beef Tri-tip, hush puppies, cole slaw, Sweet Tea and Strawberry Lemonade. Iggy's Catering: Chicken Caesar salad wraps, Vegetarian Caesar salad wraps, Panzanella Salad, Ewwy Ewwy Chicken skewers, Lime with sundried Tomato Potato Salad and Berry Lemonade. Nothing deep fried! There are four new restaurants joining the lineup this year: El Mirador, Hoffman's Dairy Garden, Iggy's Catering and My Big Fat Greek Souvlaki. Bite & Brew: 28 Frosty Brews to choose from.